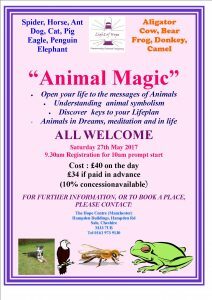 Animal Magic is a workshop exploring the metaphysical understanding of animals in our lives – to understand the messages and gifts that our friends in the animal kingdom bring to us. 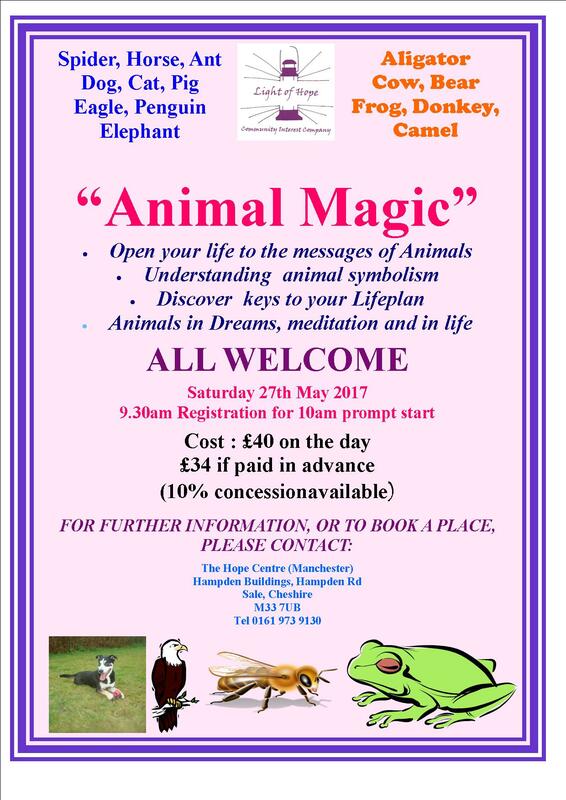 Open your life to the messages of Animals and understanding animal symbolism. This entry was posted in Activity, Animal Magic, Workshops and tagged Animal Magic by JasonHS. Bookmark the permalink.